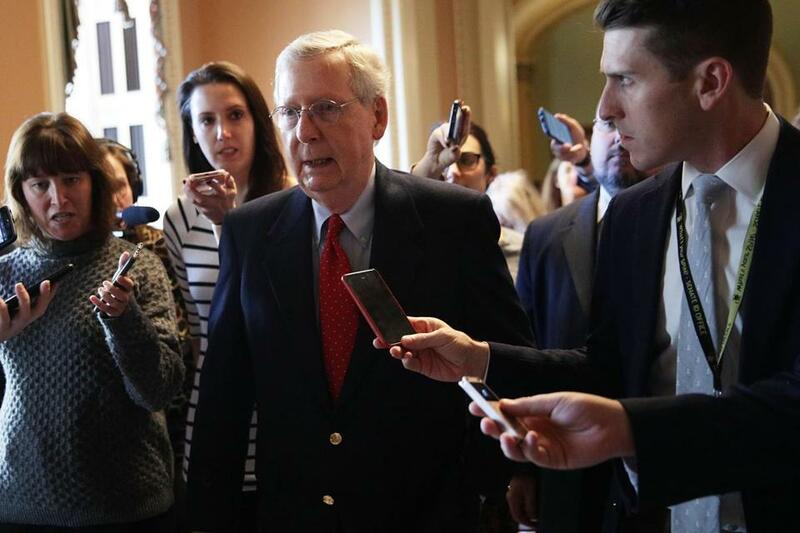 Senate majority leader Senator Mitch McConnell surrounded by reporters as he walks from the Senate chamber to his office on Dec. 1, as the GOP worked to pass the tax reform bill. While not to downplay the significance of the Russia investigation, if the GOP’s $1.5 million tax bill becomes law, Dec. 1 and 2 will likely be remembered less for Mike Flynn and more for the passage of legislation that led to dramatic and perhaps permanent American decline. This may sound like hyperbole, but it’s not. America is a resilient country, but after decades of Republican-manufactured political dysfunction — and a policy-making focus in Congress in which the plight of not just the American middle class, but also of the basic building blocks of national power, have been ignored — the effect of the GOP’s tax-cutting mania will probably be dire. It will undermine America’s economic competitiveness while taking away from Congress and the president the tools to grow the US economy and raise living standards. What we know about this legislation is bad enough. The House and Senate tax bills will fundamentally tilt the tax code even more toward the wealthiest Americans. According to an analysis by the Joint Committee on Taxation, by 2027 the Senate bill will give a $12.9 billion tax cut to those who earn more than $200,000. 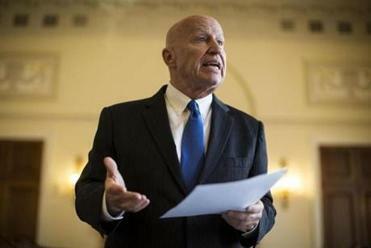 For those who make between $30,000 and $50,000, it will lead to a $12.9 billion tax increase. Several years ago, there was a national conversation about growing income inequality and recognition among many that an ever-growing income gap between the richest and poorest Americans threatened to distort national policy-making in such a way as to favor the interests of the wealthiest and most well-connected. This bill both confirms those fears while at the same time making the problem of inequality worse. The difference between what keeps many above water, and what puts them under, is all up for grabs. The Senate bill’s most dire immediate impact, however, may be in health care. The repealing of Obamacare’s individual mandate will lead to higher health insurance premiums and could strip coverage away from 13 million people. The bill could also trigger automatic cuts in Medicare and Medicaid and potentially far larger ones if the deficit created by this legislation leads to cuts in social insurance programs down the road. What Republicans could not do when they tried to repeal Obamacare this past summer they will achieve incrementally with this legislation. This is happening at a time when, on a host of health metrics, the United States ranks far worse than other developed countries. This includes everything from infant mortality rates and low birth weight to diabetes, heart disease, and America’s obesity rate, which is double the global average among developed countries. Making health care less accessible and more expensive will make these problems dramatically worse. But it’s important to view legislation like this not only for its immediate costs, but also for the opportunities lost. Think about all the serious and increasingly dangerous set of national challenges that are facing this country today. Right now we’re in the midst of a raging opioid epidemic, which took the lives of 64,000 people last year and kills more Americans than cars and guns combined. Republicans won’t even agree to extend the children’s health care program without other spending cuts. Where’s the money going to come for getting millions of addicted Americans into rehab? What about billions of dollars that are squandered every year — and far too many lives unnecessarily cut short — by poorly maintained roadways, waterways, bridges, and dams? Where will the money come from for infrastructure fixes, new high-speed rail lines, or preparing coastal communities from devastating weather events like those we saw this year in to Houston, Southern Florida, and Puerto Rico? If the GOP’s tax bill were to become law it would blow such a huge hole in the federal budget that public moneys to tackle these crises would practically dry up. Problems that have festered for years will continue to get worse. The House tax bill would raise taxes on graduate students, make it more expensive to pay down student loans and, by restricting the federal deduction on state and local taxes, will make it harder for states to find the money to fund their institutions of higher education. America is already looking up at other counties when it comes to math, science, and reading scores on elementary and secondary education levels. Now Congress is going to take a sledgehammer to colleges and universities, which is the one section of American education where the United States has a global edge. Since there is no evidence that the GOP’s tax measures will grow the economy and create jobs, this $1.5 trillion wealth transfer to the nation’s richest citizens will ensure that the federal budget deficit will explode. That will inevitably lead to calls — which are already being voiced — for spending cuts to pare down the red ink. That means a fresh assault on Social Security, Medicare, and Medicaid not to mention a host of domestic spending programs already under attack from the Trump administration. Republican leaders like to claim that reducing the corporate tax rate will lead more countries to want to do business in the United States. But things like infrastructure, the quality of the workforce, and the buying power of consumers are considerations for foreign investors as well, and all of those are going to continue to worsen with this legislation. Finally, rushing through a tax bill in such a slapdash and undemocratic manner, with no serious hearings and little debate as to its impact, further undermines already minimal confidence in America’s elected leaders and the nation’s democratic institutions. 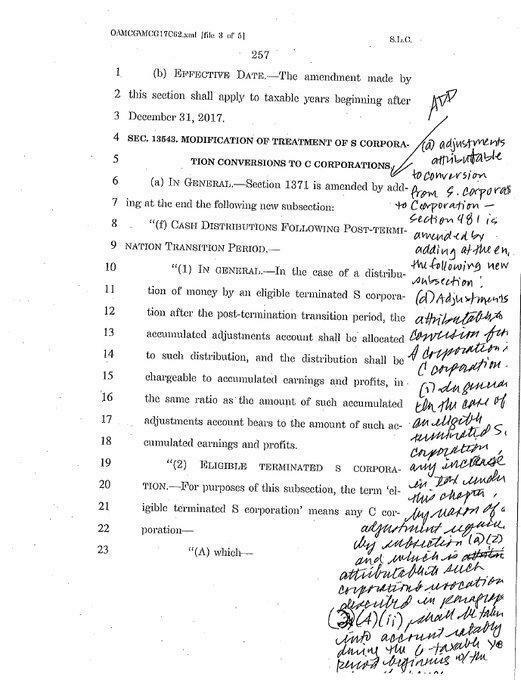 Handwritten notes in the margins of a draft of the tax bill as released by Senate Republicans just hours before the final vote. In short, if the GOP tax bill becomes law it will make the United States less competitive with the rest of the world, will weaken our democracy, and will hasten American decline — which, truth be told, has already begun. Perhaps in a few years, if Democrats take back control in Washington, they could reverse some of the GOP’s disastrous agenda, but not the full extent and not before significant and perhaps irreversible damage has been done. The GOP’s tax plans are a game-changer, but not in a good way. It’s not often a country actively seeks to undermine its own future and doom generations of Americans, but if congressional Republicans find a way to marry the House and Senate tax bills and get legislation to Trump for his signature, that is exactly what will happen.